Spanish takes a wonderful guilt-free approach to goof-ups, or rather unplanned occurrences. Se me ha perdido la forma -- the form has lost itself to me. Se me olvidó la pluma -- the pen forgot itself to me. Se me acabó la gasolina -- the gasoline ran itself out, leaving me stuck in the middle of nowhere. In our guilt-ridden Protestant culture we usually take more active responsibility. I lost the form (actually I think my dog ate it), someone broke the pen, I ran out of gas ... must be something wrong with the gauge. So isn’t it curious that we generally avoid the active voice in scientific writing, at least in the style that I was taught? I hadn’t thought much about it until I read an interesting post at the Mermaid’s Tale: Who is this magical "third person" doing the science? It is the end of Week 4 of Highly Allochthonous’s writing challenge and I would have completed draft Results sections ... except that we don’t have results, we are not done with analysis. So I returned to the Methods sections intent on using the active voice and first-person pronouns: “we surveyed ninety-nine sites”, “we designed a protocol specific to the type”. All was fine when using the first-person plural, but it seemed awkward to write in the first person singular: “I combined data from three projects”, “I mapped all surveyed stands”. I’m not sure why, for some reason it feels a bit egotistical. Still, I’m intent on using the active voice. If anyone has opinions on or experiences with writing in the first person, I’d like to hear. 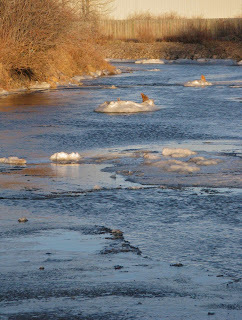 In an outing in the Laramie Basin the other day I came across “frozen waves” on the downwind side of Sodergreen Lake. Had it really been so cold that the waves had frozen in place? "It was so cold the waves just froze right there by the shore, yah, you bet! 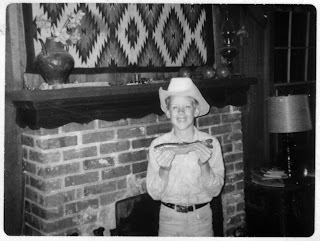 and I tell ya it took three days to thaw the fish out after we got home, that's how cold it was ..."
"Ice ridges form where waves break, such as over nearshore sandbars ... There may be several parallel rows of ice ridges; usually there are more ice ridges than sand bars. 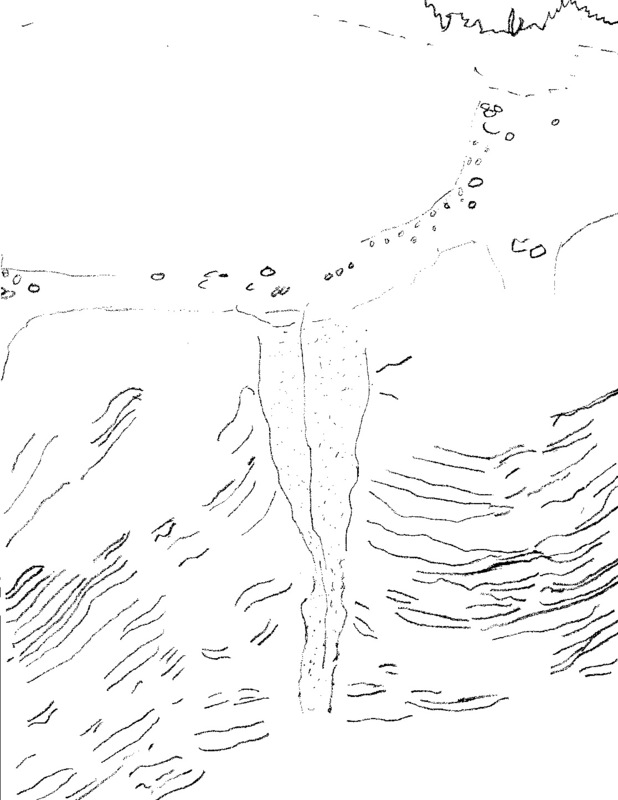 Lakeward of the ice ridges, a zone of slush ice may collect. 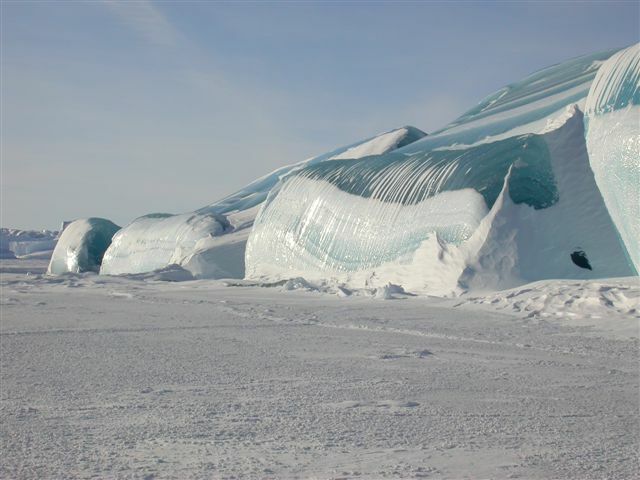 This slush ice can be driven repeatedly by waves onto the outer ice ridge, raising its crest 15 feet (5 meters) high or higher above the lake." Nearshore ice complex on Sodergreen Lake, Wyoming, USA. Sodergreen Lake in the southwest Laramie Basin. Sodergreen Lake is only about 50 acres (20 ha) when full, so the NIC there isn't exactly spectacular. 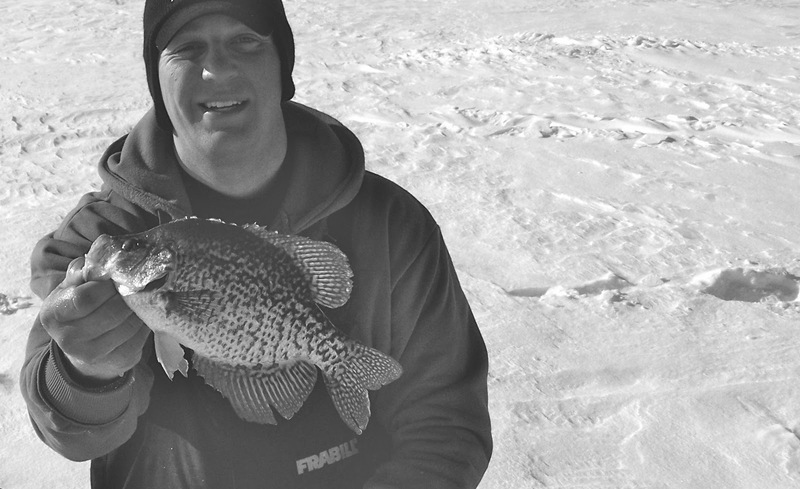 Bigger lakes produce bigger ones. 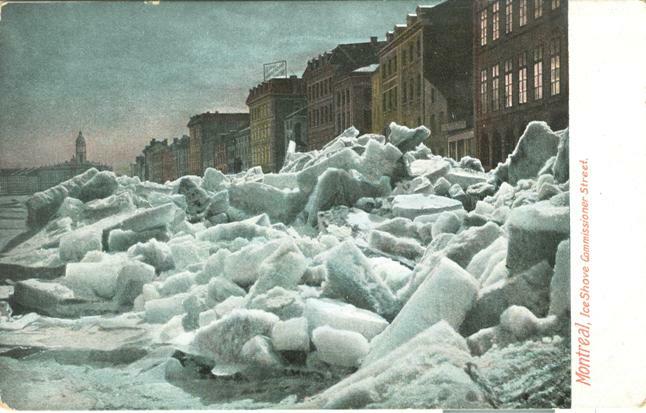 NICs often protect against erosion but can do damage when chunks of ice are pushed against whatever is on shore. Below left: NIC on Great Lakes (USA); below right: ice shove on St. Lawrence River (Canada). When I was searching for information on nearshore ice I came across some REALLY spectacular "frozen waves" supposedly from the Great Lakes. 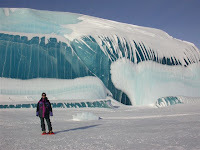 For myth-busting details, see Waves Frozen in Place? Yesterday was sunny, cold, quite windy and there was little snow-cover in the basin -- probably much like it was here during the late Pleistocene. It was a good day for a field trip in search of periglacial relics. Wyoming is composed mainly of high mountain ranges and broad basins. The ranges were glaciated during the Pleistocene and mountain glaciers sometimes extended several miles from canyon mouths, but the basins generally were ice-free. 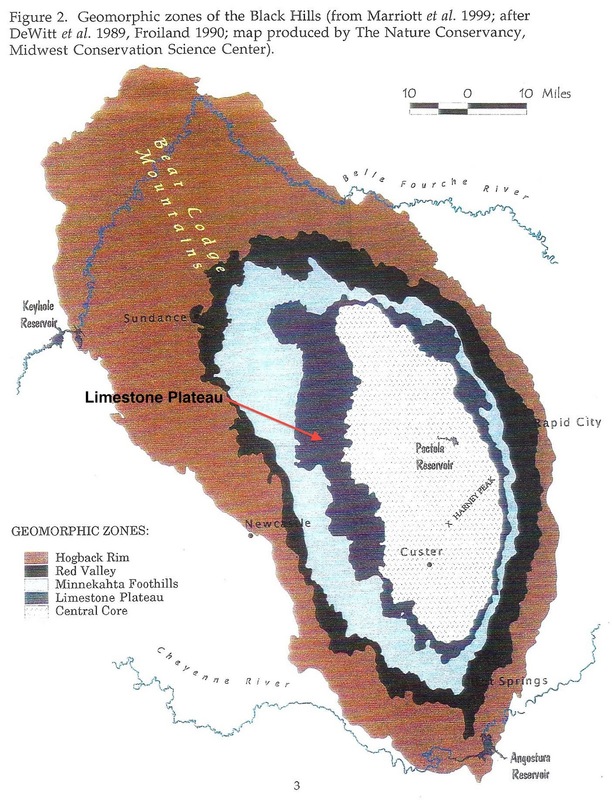 These basins are fairly high, 5000 to 8000 feet elevation, and periglacial environments appear to have been the norm, with permanently frozen ground subject to intense freezing cycles and other permafrost processes. Mountains and basins of Wyoming. 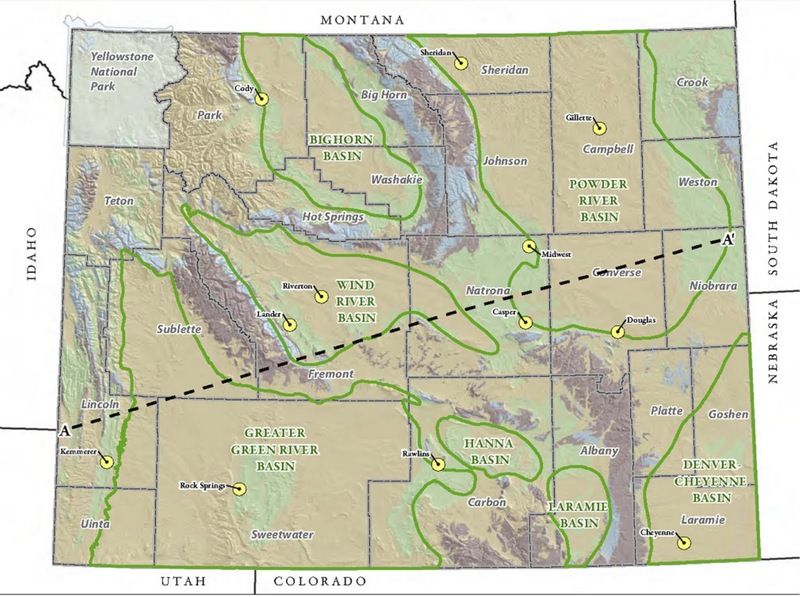 Courtesy Wyoming Geological Survey. 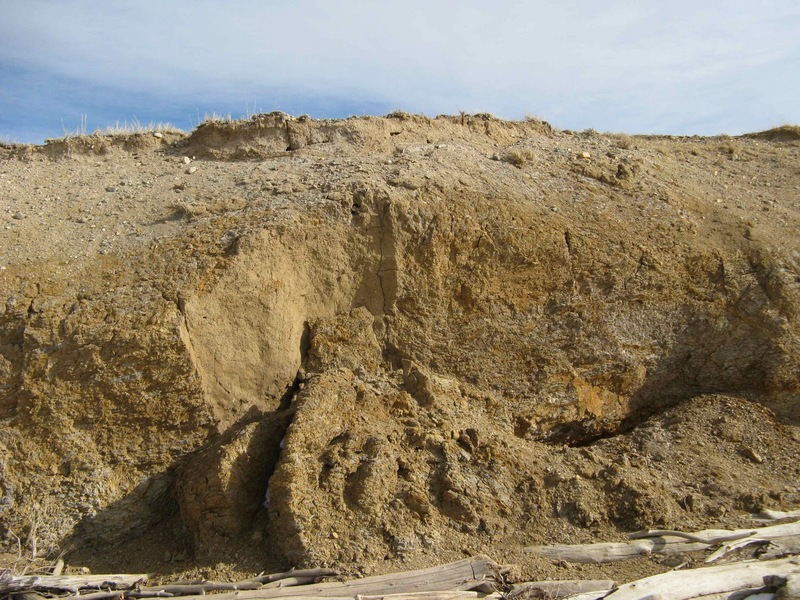 Relic permafrost features have been found at many locations in Wyoming basins. 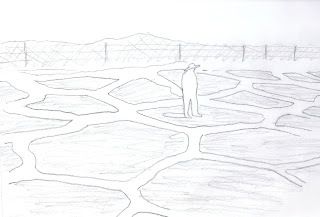 The most common are polygons and wedges created by repeated cold thermal-cracking of permanently frozen ground. Most have been discovered fortuitously during excavation and other kinds of dirt-work. Surface polygons are exposed only rarely, for example when an area is bladed off; these exposures are especially short-lived. 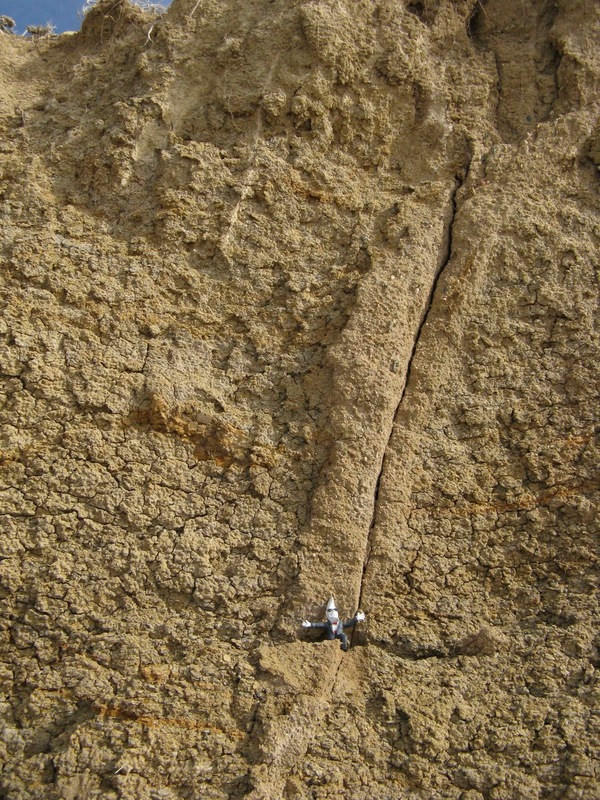 aeolian deposits that was bladed off during construction. More commonly an area of thermal-cracking is sliced through, producing longitudinal sections through the cracks. Thermal cracks narrow with depth and so longitudinal sections generally are wedge-shaped, hence the names “sand wedge” and “ice wedge”. Fresh cuts in quarries, roads, ditches and dumps are the best places to find wedges; these exposures also are ephemeral, eventually obscured by erosion, slumping and vegetation. 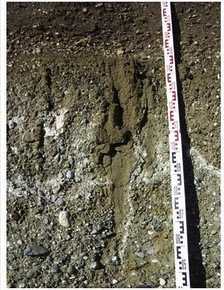 Most of the relic wedges reported from Wyoming basins are sand wedges, indicating cold dry permafrost conditions. “Sand wedge” is a misnomer because fill material is not restricted to sand -- it can be finer or coarser. The name is used to differentiate these wedges from ice wedges, which form in wet environments. Ice wedges grow as water fills narrow cracks next to the existing wedge. With post-glacial warming, the ice gradually melts and the casts are filled with material that falls or washes in. 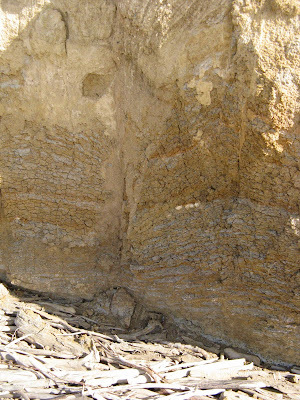 Often the fill is layered, and may include clasts too large to have fallen into the original thermal cracks. In contrast, sand wedges form in dry environments where thermal cracks are immediately filled with whatever blows in. The wedge grows with repeated cracking and filling, and the fill may have a vertical texture. Larger clasts are absent. 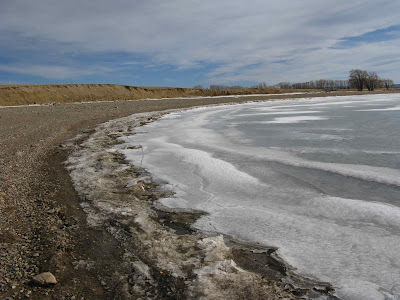 It was cold and very windy as we drove the back roads of the basin looking at road cuts and irrigation ditches. There was a lot of disappointment -- all the road cuts were slumped or vegetated and many of the ditches were filled with snow. But the last stop was a good one. At one of the plains lakes, wave action had cut a nice exposure of sand wedges. 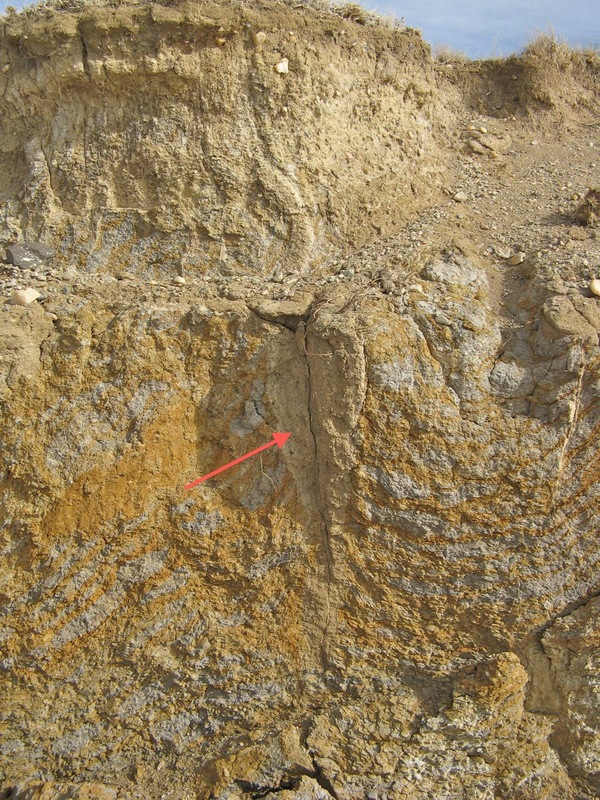 Sand wedge (red arrow) in Niobrara shale. 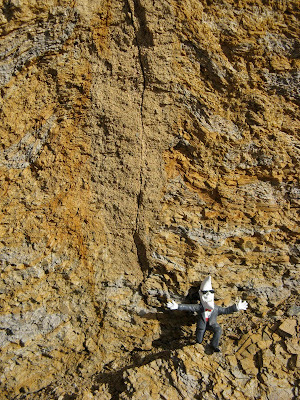 The host material is the Niobrara Formation -- gray and orange especially-gooey limey shales. 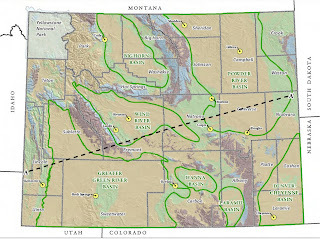 [This is the Niobrara shale being advertised as the next big oil shale play, in the Denver Basin at depths of 3000 to 14,000 ft.] The fill is sand, sometimes with slightly coarser fragments. The Niobrara’s thin layers of alternating colors make it easy to see deformation of host material by the wedge. layers in host material have been warped upward by the wedge. 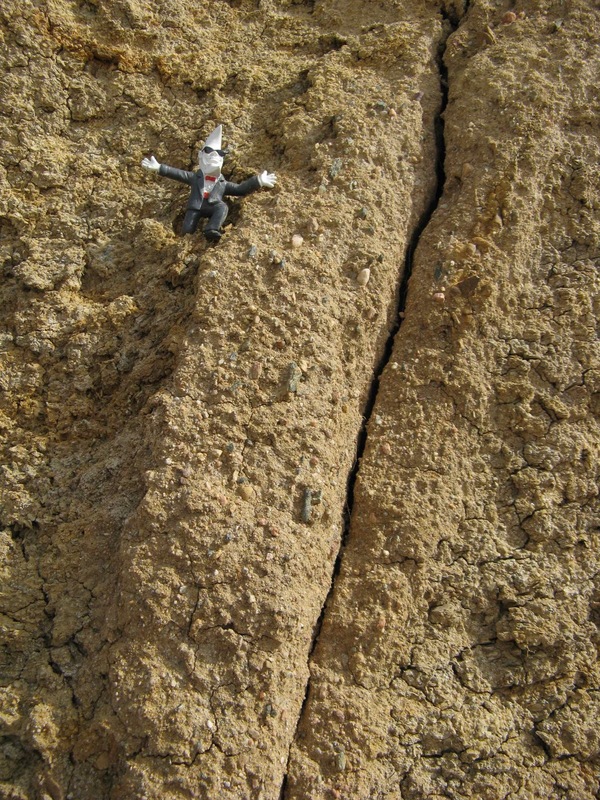 The sandy fill is more prone to cracking than the sticky Niobrara shale. Many of the wedges were penetrated by a narrow crack, and in several places, chunks had spalled off along an old frost crack/sand wedge. (Fred is 3" tall when kneeling). Periglaciologist Fred made his debut back at the end of October, having found some wedges in a ditch in the west part of town filled with unusual unsorted unknown material. Here he is thrilled to have found something he can explain. 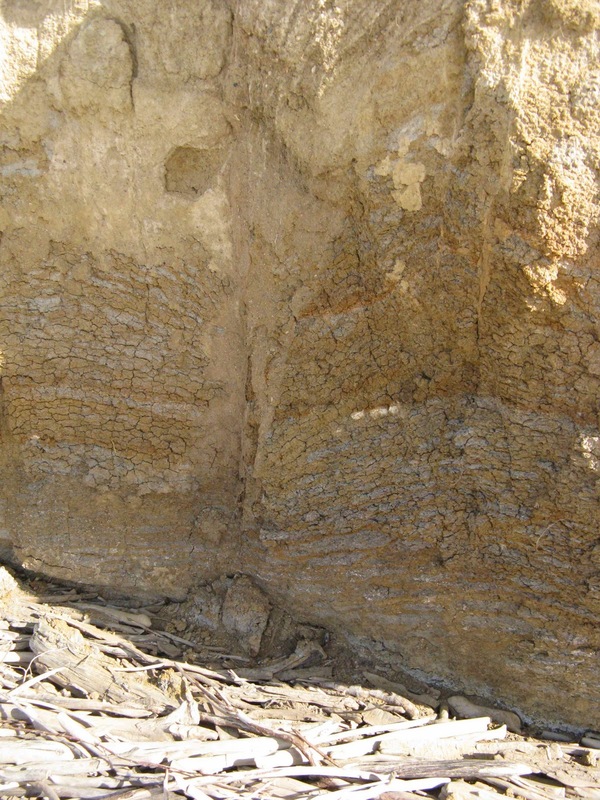 softer Niobrara shale. Fred kneels near base of wedge. 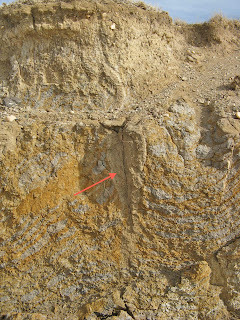 Closeup showing sandy texture with occasional slightly coarser clasts. 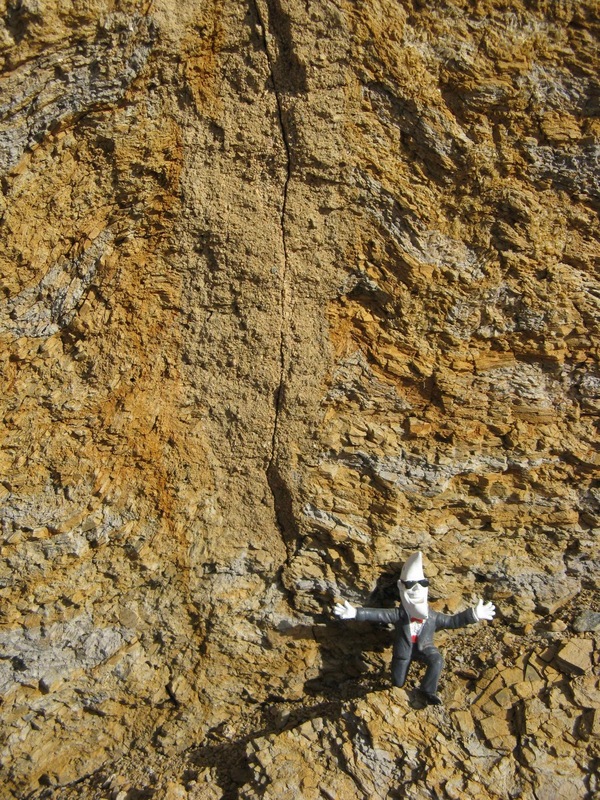 Deformed Niobrara shale adjacent to sand wedge. Here the host material is warped downward. 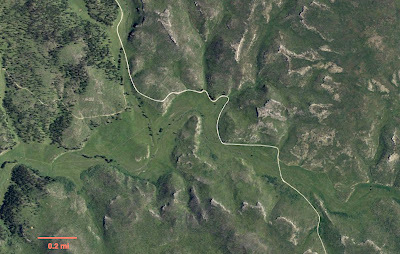 Week 3 of Highly Allochthonous’s writing challenge was spent ploughing through very rocky soil in the Methods sections of my papers on Black Hills (South Dakota) high-elevation grasslands. 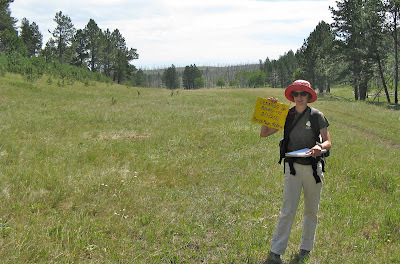 I was faced with the most challenging part of the project -- assessing grassland quality. Our ultimate goal is conservation of native montane grasslands in the Black Hills, and towards this end we want to know which are the better and best ones. 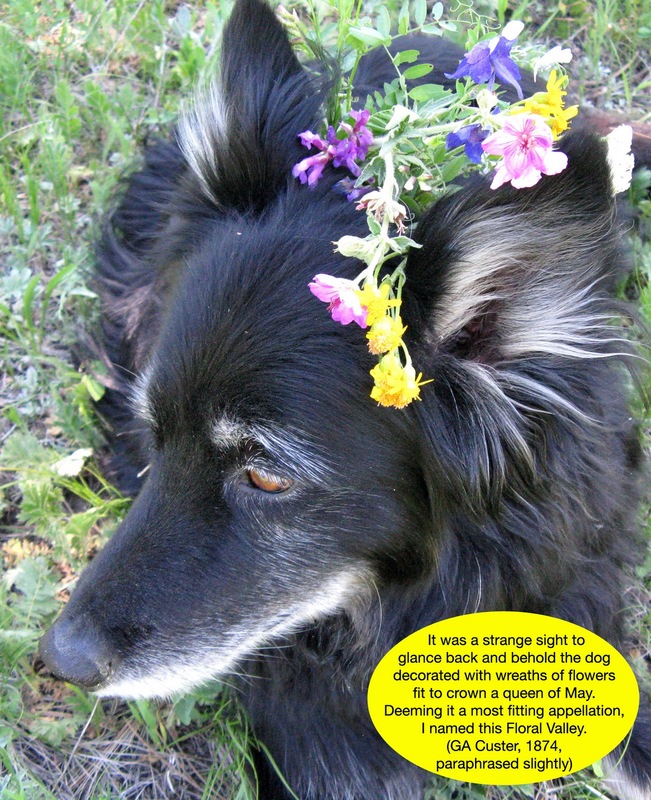 But passing judgement on grasslands can be tough and guilt-ridden. mountain meadows in the Black Hills. The most basic criterium for judging these grasslands is “naturalness”, i.e. is a grassland within the natural range of variation? But here we have a big problem, the subject of an earlier post. We don’t know much about the structure and composition of Black Hills mountain meadows prior to human settlement, and humans have been busy altering the landscape since the 1880s. By the 1920s many of the moister meadows already were dominated by non-native hay grasses, as were all of the ones surveyed in 1999 and 2011. 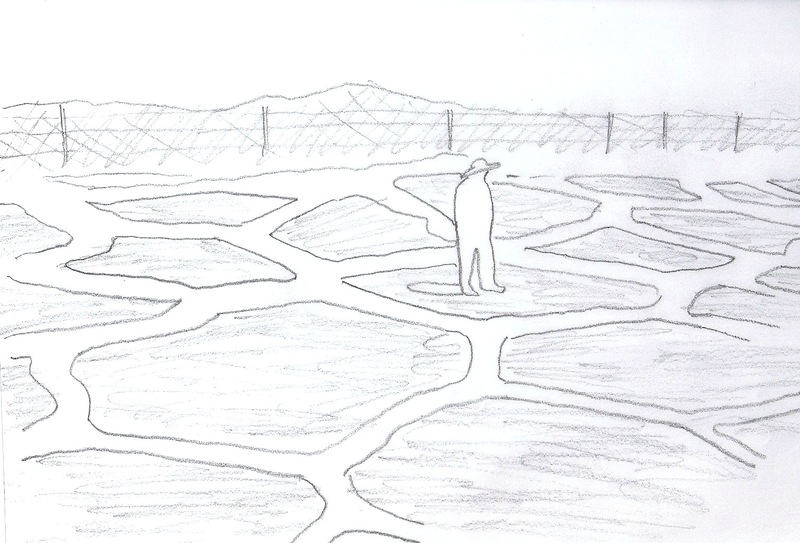 In a way this made the task of evaluation simpler -- any predominantly native grassland would be of interest. 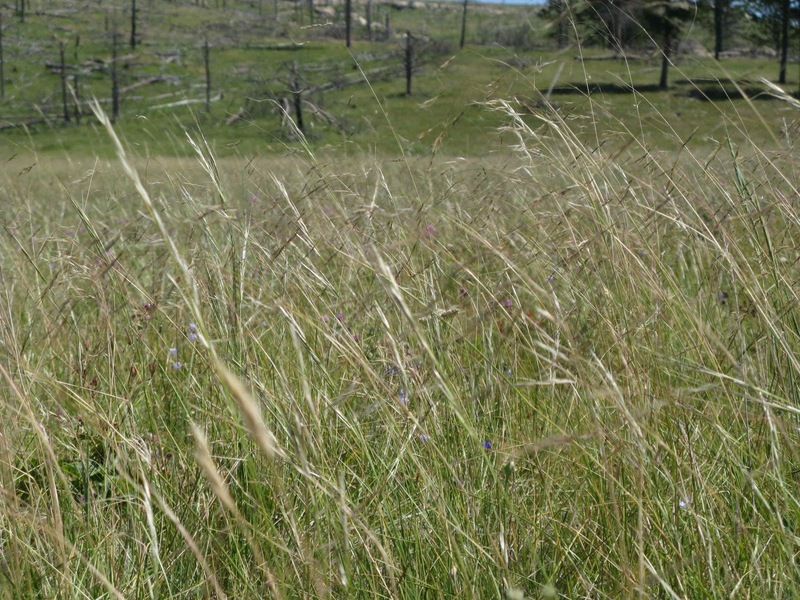 There still are native high-elevation grasslands in the Black Hills, on drier sites that probably were less attractive to homesteaders, sheep and cows. We ranked these following NatureServe's metric-based ecological integrity assessment framework. We used three kinds of metrics: size, landscape context and condition. The first two were easy. Size can be measured from imagery in a GIS and there are conventional categories for ranking. Landscape context was the same for almost all the grasslands we surveyed -- partially disturbed natural or semi-natural vegetation (i.e. national forest managed for multiple use). unforested uplands in all but the northwest part of the photo burned in the 2000 Jasper Fire. Assessing grassland condition was the challenge, i.e. assessing in a way that was explicit, consistent, replicable and doable. I was determined come up with such a protocol, even though the task tied my brain in knots at times. In earlier surveys “intuitive” rankings had been assigned by “experts” (myself) and I didn’t want to go through that again. I know that my brain isn't up to the task of consistently evaluating entities as heterogeneous as these large grasslands. To assess condition we used four metrics: native plant cover, invasive exotic species (noxious weeds), native increaser species (native plants present in non-natural abundance due to disturbance) and soil surface condition (bare soil or surface disturbance obvious due to altered vegetation). Each metric could be ranked from A (best) to D (worst). The categories were fairly broad so that we could assign ranks with confidence. For example a grassland with <50% native cover was ranked D for that metric. For a rank of A, native cover had to be >99%. This sounds simple, but many grasslands were coarsely-heterogeneous. We sometime split larger ones into segments, ranked each segment, and then combined these for overall ranks for the stand. burned in the 2000 Jasper Fire. It is a real challenge to design a protocol in the office that will work in the field. The range of variation being assessed, and the ability of surveyors to confidently recognize categories within that variation are the main confounding factors. 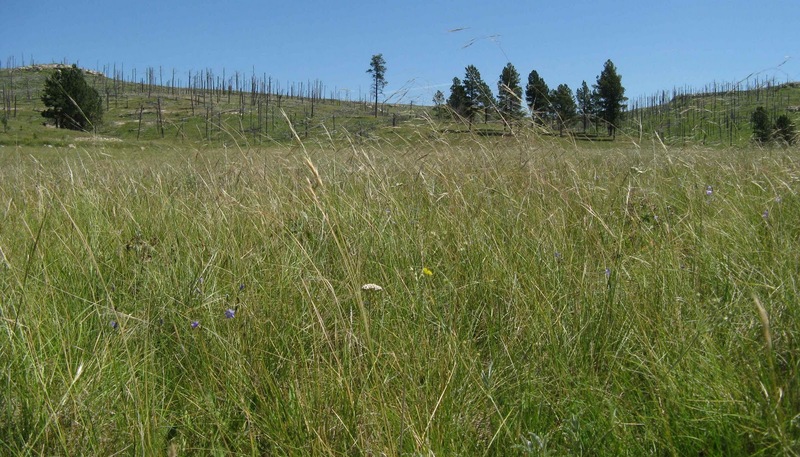 Prior experience with Black Hills montane grasslands made development easier. But I was sure we would have to make adjustments in the field. During the first week of field work, three of us worked together and put the protocol to the test, independently evaluating each grassland we surveyed. In most cases we came up with the same condition ranks, but not always. I made a few adjustments to categories to better represent the range of variation seen in the field, and to make the categories easier for us to distinguish with confidence. We repeated the experiment several weeks later, and tweaked one of the metrics a bit more. As I went from grassland to grassland filling out forms, I became more satisfied with the condition evaluation protocol. The results were consistent with my gut feelings expert opinions, and the procedure was quite doable. Even better, now as I write I feel confident about our results and recommendations. 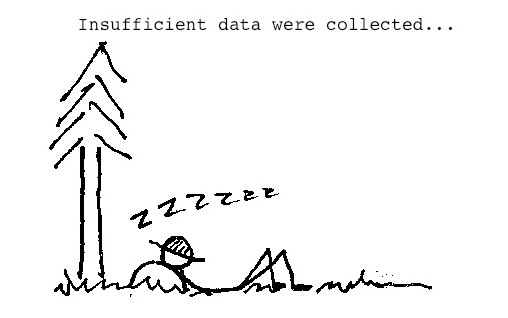 Hold off on data collection and do reconnaissance first to get to know your subject. Can it be circumscribed easily or are there issues with definition? What kind of variation will you have to characterize, evaluate? What are the down-ranking factors? What can realistically be expected of field workers? These projects almost always include more area than can be covered in the time allotted, and we race to survey as much as possible. It is tempting to skip reconnaissance and start collecting data right away, but this rarely works. Passing ecological judgement is a big responsibility, and it is worth investing the "extra" time. Fossiliferous Weekly has returned to the geoblogosphere with a post about Usher’s attempt to recreate Pangea in a music video. I believe Usher’s hypothesis is that plate tectonics is driven by the pathos of a human life torn apart by heartbreak. Wait a minute ... that limits the role of plate tectonics to the last one-point-something million years. Maybe the pathos of dinosaur and cyanobacterial lives played that role earlier. 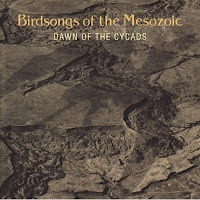 This prompted me to post about the ‘avant-progressive’ ‘heavy metal Baroque’ ‘avant-garage’ band Birdsongs of the Mesozoic. This has been on the back-burner as I wasn’t sure a geologically-named band playing geologically-titled tunes was a geological subject of any depth. Checking BoM’s website and wikipedia revealed that some musicians from broken-up bands met for recording sessions, needed a name and chose "Birdsongs of the Mesozoic" for the Birdsongs of America album sampled during the sessions, as well as theories about dinosaur ancestry of birds (a member had been a dinosaur aficionado as a child). 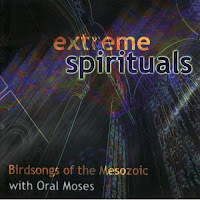 Check out Primordial Sludge (audio), Lost in the B Zone (video) and Dancing on A'a (Amazon samples). 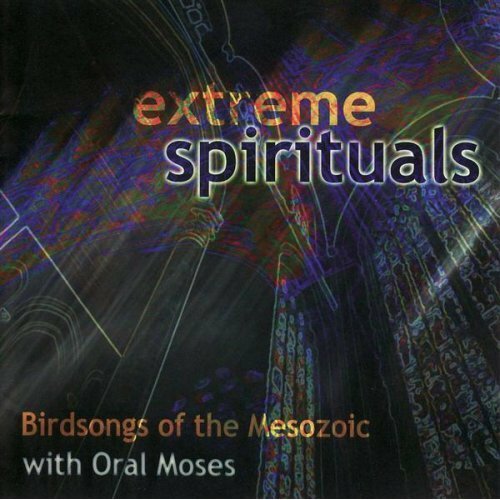 I first heard Birdsongs on their Extreme Spirituals CD with Oral Moses, a great singer of Black spirituals. His rich bass-baritone voice works well with the non-traditional bold “accompaniments” by Birdsongs. Clastic Detritus and Galileo’s Pendulum have proclaimed and publicized this week as Sand Dune Week, after discovering multiple posts on the topic including singing sands and sand tsunamis. Then looking for Detachment joined in with a virtual tour of Sand Mountain in Nevada. 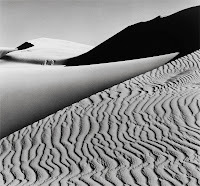 Now there are more: Earth Photo of the Day features dunes of Death Valley. There is a post about kriiva in Estonia, puzzling landforms made of sand which may or may not be dunes. I too am immersed in sand this week ... I'm reading Sand by Michael Welland of Through the Sandglass. This calls for a virtual field trip to some dunes -- specifically the dunes of Oso Flaco on the Central Coast of California. "The Oso Flaco" lies at the west end of the Santa Maria Valley. It was named in 1769 by a group of hungry Spanish explorers for the skinny bear they killed and consumed there. 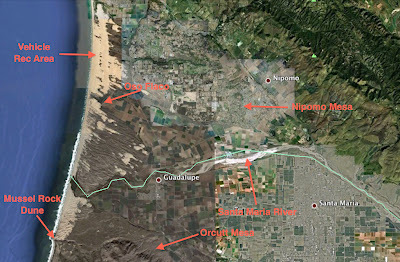 The Oso Flaco dunes are part of the Guadalupe - Nipomo Dunes Complex, 18 miles in length, in southern San Luis Obispo and northern Santa Barbara counties. Mussel Rock Dune at the southern end of the complex is the highest on the west coast of the US at 500 feet. Mussel Rock Dune viewed from the north. 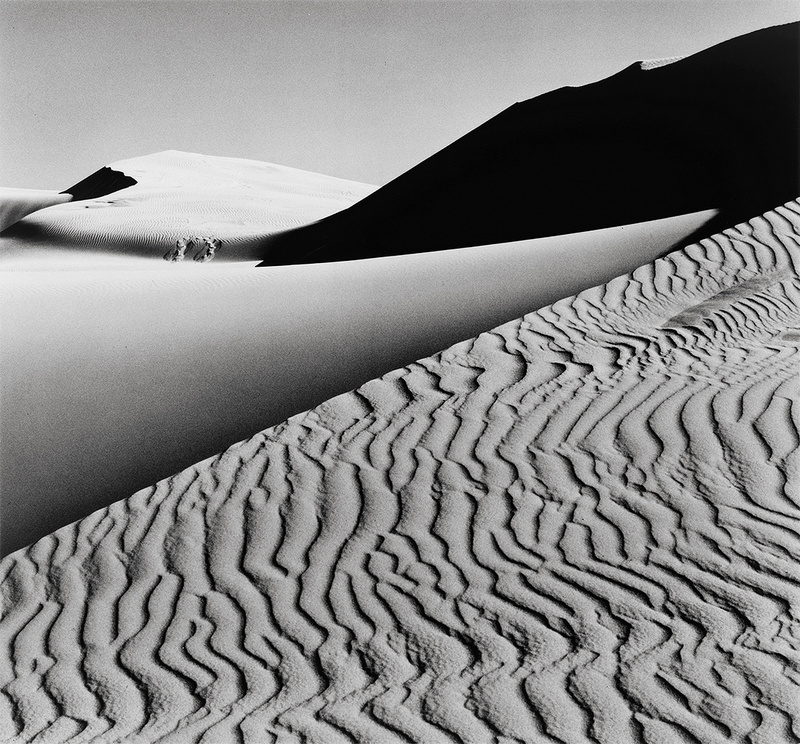 Sand dune landscapes are stark and unusual, and often oddly beautiful. It is not surprising that there was an alternative community of mystics, writers and artists living in these dunes in the 1930s and 1940s -- the Dunites, who found the setting to be a source of creative energy. 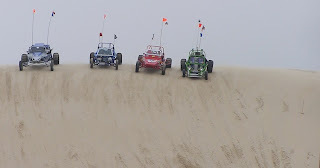 By the 1960s, the dunes had become quite popular with dune buggy-ers, and when the environmental movement then arrived on the Central Coast, a battle began. Off-road vehicles still crawl the northern part -- the Oceano Dunes State Vehicular Recreation Area. But the dune buggies were kicked out of the southern part, astounding considering the local culture. Today this area is managed for conservation as state and county parks, and a wildlife refuge. The Guadalupe - Nipomo Dunes Complex contains a wonderful diversity of ecosystems, including terrestrial, fluvial, lacustrine and marine. 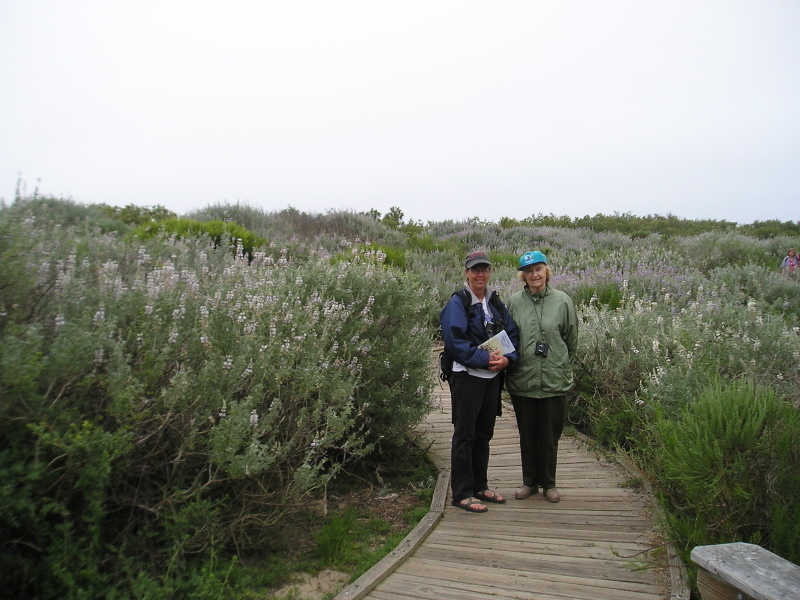 There are three major zones: active, partially-vegetated and stabilized dunes. The oldest dunes underlie the Nipomo and Orcutt Mesas on either side of the broad valley of the Santa Maria River. Plant-lovers surrounded by dunes lupines. Photo by W. Kline. To the west is the partially-vegetated zone, with extensive areas of grassland, shrubland and forest interspersed with lakes and active dunes. Finally, open dunes with occasional plants rise over the beaches and ocean. Beach at Oso Flaco. Photo by W. Kline. I will be posting a lot more about the dunes at Oso Flaco in May, when I’m there on vacation (whoo-eee!!). Plants are major factors shaping fluvial landscapes, acknowledged by the ever-popular Effects of large organic material on channel form and fluvial processes by Keller and Swanson (“fifth most cited paper in geomorphology” as of 2005). Their examples include log jams widening channels as water is diverted around obstructions, and lodged debris producing mid-channel bars through deposition downstream; woody debris protects stream banks from erosion if lodged, but can also erode banks through scraping. 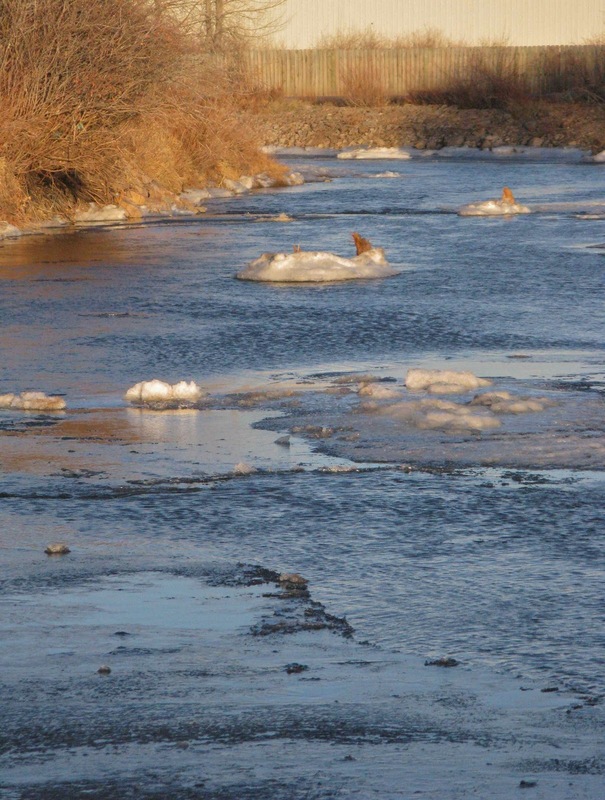 In Wood in Streams Anne Jefferson recently posted an interesting discussion with photos of an organic debris jam in the process of cutting off a meander. But oddly ... there's no mention what must be the most critical role of woody debris in fluvial processes, at least in southeast Wyoming: providing habitat for fish. The Connecticut Department of Environmental Protection put together a fact sheet on large woody debris, in response to removal of LWD by well-intentioned volunteer groups while “cleaning up” river banks ... and degrading aquatic habitat in the process. LWD in Laramie River, with ice buildup. Anchored rootwads encircled by ice. 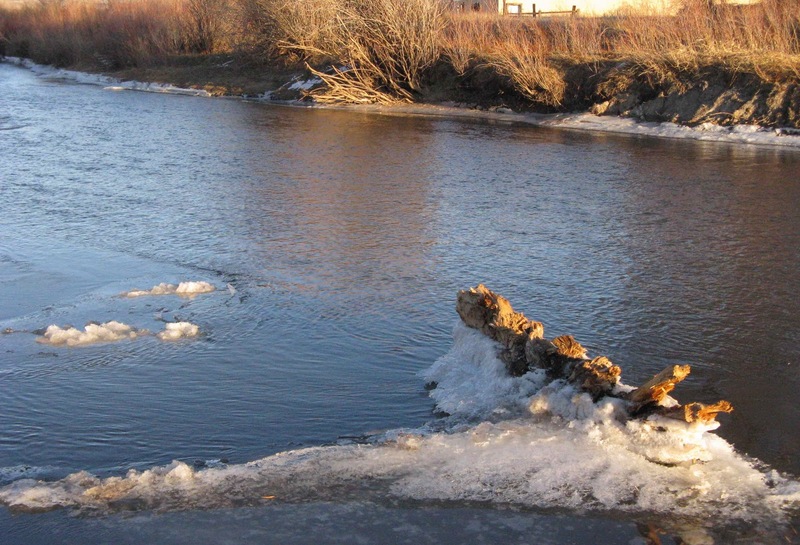 During a recent project in the Laramie River, rootwads and boulders were added to banks and midstream to increase the quality and diversity of brown trout habitat. 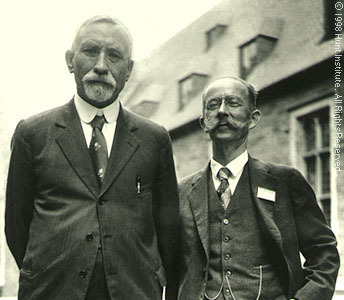 Keller and Swanson noted that “once a tree falls into the channel it may reside there a long time and depending on the size of the stream and other factors may greatly affect channel form and process.” So true. 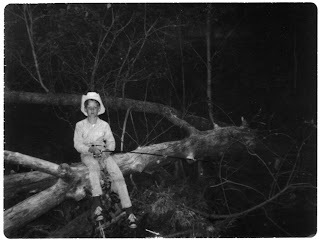 I still have vivid memories of the Deep Hole and the Big Log in the creek by our family cabin. Thanks to large woody debris, these were great places to skip rocks and watch water skippers, as well as spots where the trout gathered. Dave fishing the Big Hole, 1966. In the late 1960s heavy rain and high flow wiped out the Deep Hole and the Big Log. Now, in the absence of large woody debris, there is only a shallow briskly-flowing creek. In a previous post I gave an overview of the status of high-elevation grasslands in the Black Hills. 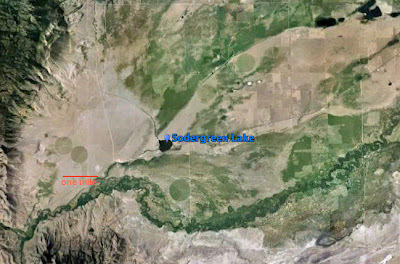 Large grasslands are common in broad drainage bottoms on the high Limestone Plateau in the western part of the range (red arrow in illustration to left), but most are dominated by non-native species. Small native patches are sometimes found on drier lower slopes. The few remaining large native grasslands are restricted to approximately 40 square miles in the drier southern part of the Limestone Plateau. We have done a good job of characterizing the native grasslands of these drier sites, which we call Sporobolus heterolepis - Achnatherum richardsonii - Danthonia intermedia Herbaceous Vegetation, or more often, Black Hills Montane Grasslands. 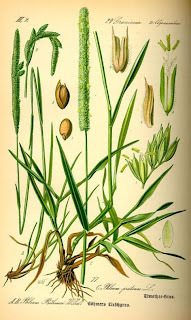 The common and consistent grass species are prairie dropseed, Richardson’s needlegrass, timber oatgrass and little porcupine grass. little porcupine grass waving in the wind in Gillette Canyon. The Black Hills montane grasslands include a diverse group of forbs (wildflowers), and local residents rave about the wildflower shows "out on the Limestone". 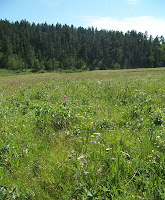 The photo to the left shows the montane grassland near White Springs, a Rocky Mountain Region wildflower viewing area. 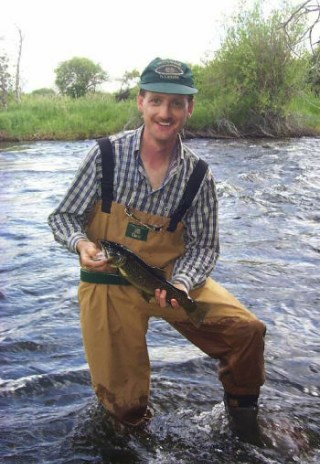 (courtesy US Forest Service). But what kind of grassland is native to the more mesic (wetter) sites in the northern part of the Limestone Plateau? These grasslands now are dominated by the hay grasses Phleum pratense (timothy) and Bromus inermis (smooth brome), often mixed with the non-native clovers Trifolium pratense (red clover) and T. repens (white clover). Can we somehow guess at pre-settlement composition? I began seeking native high-elevation grasslands in the Black Hills in 1998, when the consensus was that there were none left. When I discovered small patches adjacent to hay meadows I was thrilled. 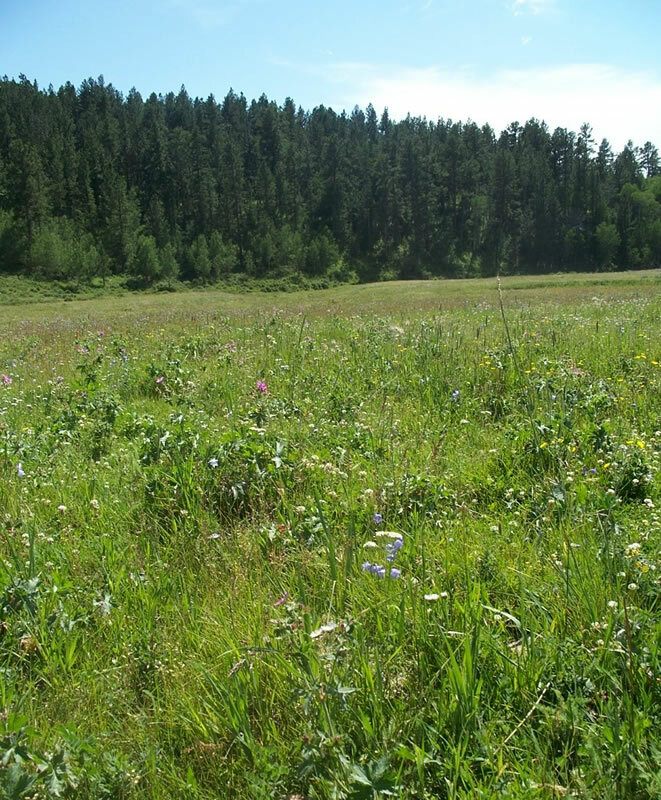 In 1999 I found several large native grasslands in the southern part of the Limestone Plateau, raising expectations that mountain meadows in the Black Hills were alive and well. But a comprehensive survey in 2011 documented native grassland only on more xeric (drier) sites, with mesic habitat consistently occupied by hay grasses. Native species occasionally are mixed in, but not enough to even begin to speculate about pre-settlement composition. So might we find enlightenment by looking to the past? 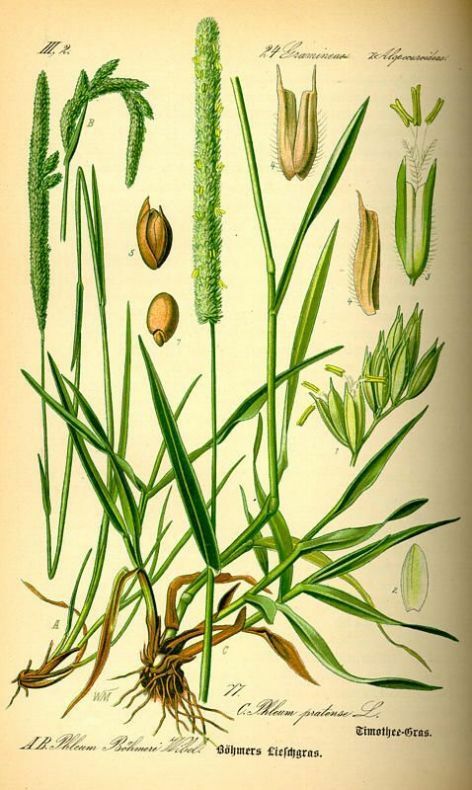 Rydberg went on to list wildflowers and shrubs he had found in the Limestone District but made no mention of any of the “knee-deep grass” species. He did note that the “valleys between these ridges are composed of excellent hay land”. in a Black Hills montane grassland. 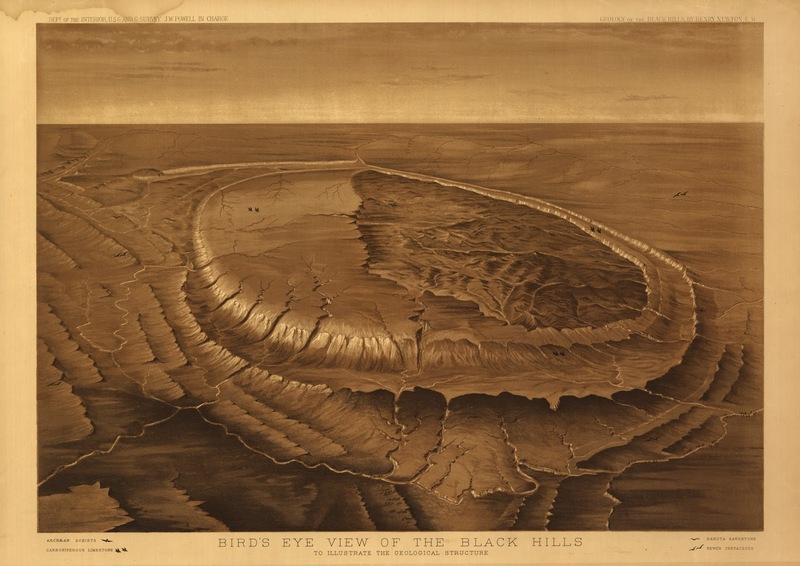 Bird’s Eye View of the Black Hills, to illustrate the geologic structure. What a beautiful and memorable illustration! I discovered it in the late 1970s shortly after moving to the Black Hills, a geological and biological wonderland for a naturalist like myself. Simplified it may be, but then this illustration is from the report of the Newton - Jenny expedition of 1875. 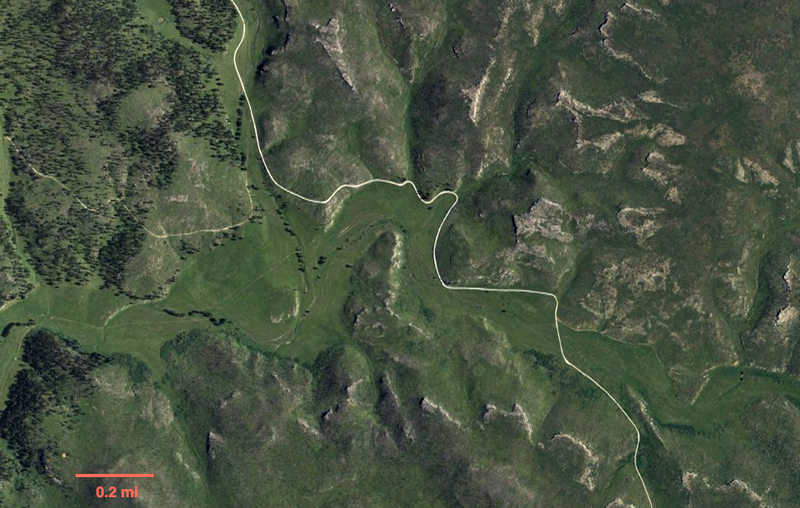 The basic geomorphology of the Black Hills is clearly shown (see annotated version below): the eroded Central Core where the Precambrian core is exposed; the high rolling Limestone Plateau to the west; the Red Valley or Racetrack, a strike valley underlain by the easily-eroded Spearfish Formation that almost completely surrounds the higher elevations; and the striking Hogback Rim, a series of hogbacks and strike valleys making up the outer perimeter of the uplift. 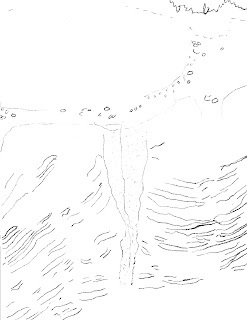 Look close (click to enlarge) ... do you see the birds whose perspective was the basis for this illustration? If that isn’t cool enough, the birds serve as labels for the major rock types: Archean Schists, Carboniferous Limestone, Dakota Sandstone and Newer Cretaceous (see tiny legend at base of illustration). Wow! As the expedition and report were funded by we-the-people, the illustration is free to download at the American Memory website (11.7 MB). The Black Hills Institute in Hill City, SD, has a 28” x 22” poster for sale. Geomorphic regions of the Black Hills. Sunstone: Compass of the Vikings?